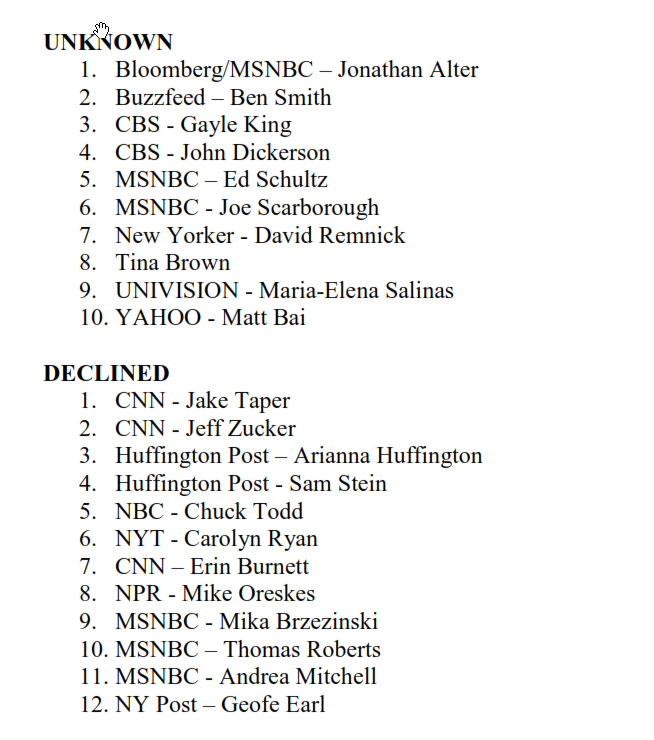 Ron Paul had a list of "Journalists" who were caught colluding with the DNC and other conflicts of interest that in Civil Society would be punishable as a crime. 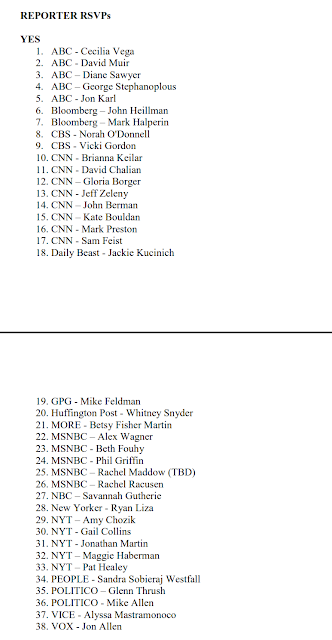 But his list was just a "picture", here we have names, organizations, and Links to emails which show their complicity in same immoral and illegal collusion. 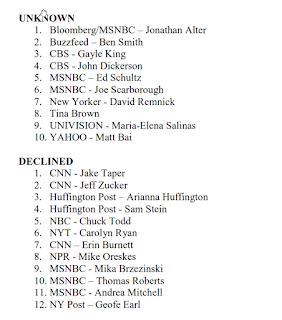 stock here: also from an email attachment I found by clicking through the Wikileaks links....these are the other "journalists" who the DNC thought were "part of the team".